If you never take risks in life, you’ll never see anything new. We have to take risks with art. If we don’t, it all becomes a bit boring. A man who will risk nothing for love is not a man. I think the potential for the program at the risk of sounding self-serving is large, some would say even limitless, so I’m excited about it and I think it can even pass next year. 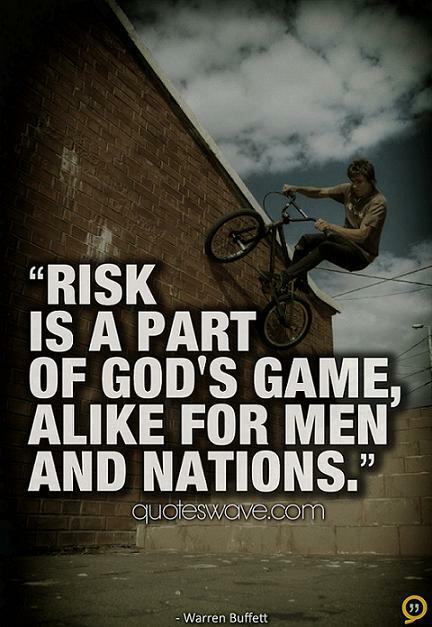 The world cracks open for those willing to take a risk. Hope and courage and risk dwell inside of us on an uncharted island and if we learn to look for it and tap into it, our possibilities are endless. When a man learns to love he must bear the risk of hate. There is no hope without risk. The biggest risk is to take no risk. 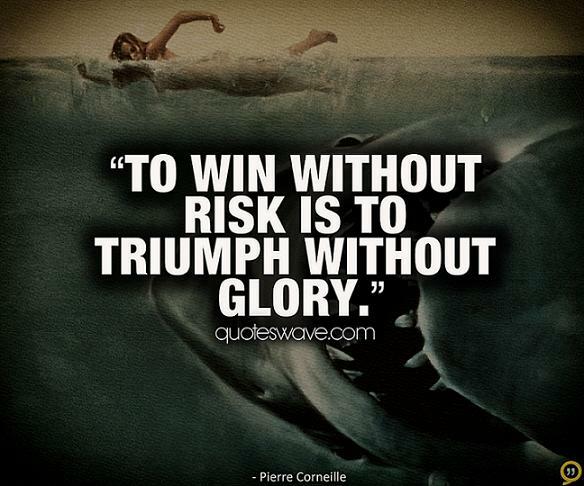 or to take crazy risks. All life’s a risk, that’s what makes it interesting.